Description: Hands on practical training in seven distinct categories of learning from hunting to packing to safety and more! Description: Learn from the best and take you business to the next level. Great for those new to oufitting! Description: A complete program of instruction in camp and back country cooking. In any good outfit, the camp cook is critical to success. Description: Waterfowl guide candidates will learn all the facets of how to guide for ducks and geese throughout the various parts of the country. Description: A shorter, more intense course that bolsters participants’ own experience and skill set with an increased focus on practical skills in the field. 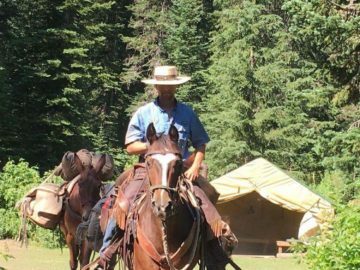 Description: Our Wrangler Training Program addresses the need for good base training on how to be an effective wrangler. Description: A course focused on teaching the skills needed to become an expert packer. 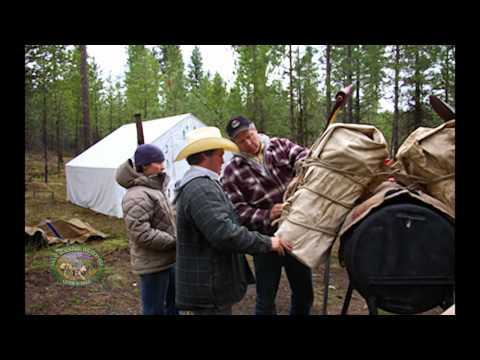 Our course teaches all the facets of how to pack mules and horses. Description: A course focused on the issues, information and practical applications needed by owners of multiple horses/mules. 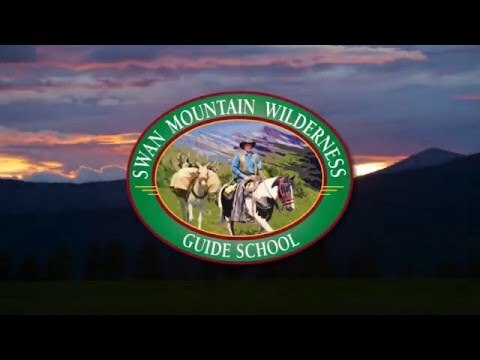 Description: A course focused on teaching the skills needed to become a houndsman or mountain lion/bear hunting guide using dogs. Description: This is a custom designed program where students can learn from the best by attending training on the boundary waters of Glacier National Park.